Dolphin-assisted therapy may be a new concept for you, but I spent the last seven years providing organizational support to Czech clients headed to Turkey to receive this treatment. Strangely, I didn’t get down there myself – until now. My collaboration with Olda Bures, the first (and practically only) Czech dolphin-assisted therapist was a logical continuation of my work in the field of animal-assisted therapies in general. Over nearly two decades, I organized trainings, taught basic theory to both volunteers and professionals (doctors, nurses, therapists, social workers, teachers) and promoted this subject with the media. In my various projects, I was known as the person interested in “other animals” meaning any creature besides the usual dogs, cats, and horses that participate in animal-assisted therapy programs for decades. Little did I know that the one animal I will end up studying and writing about would be the dolphin. My ten-day stay in Antalya, Turkey, was not enough to produce a professional book, but it’s certainly enough for a witness account. Aside from Olda, I interviewed his long-term friend and collaborator, Hasan, a Turkish dolphin-therapist. Further interviews with both therapists and clients were conducted by my best friend Daniel Kupsovsky, who came to Turkey to record an audio-documentary for the Czech Radio. But perhaps more than just a witness account, the book I realized I must write is that of my personal spiritual journey. I experienced the most transformative event of my life, and that’s a lot to say from someone who both studies and teaches transformative processes. Dolphins were only a part of it, the focal point, the magic element of the unknown. 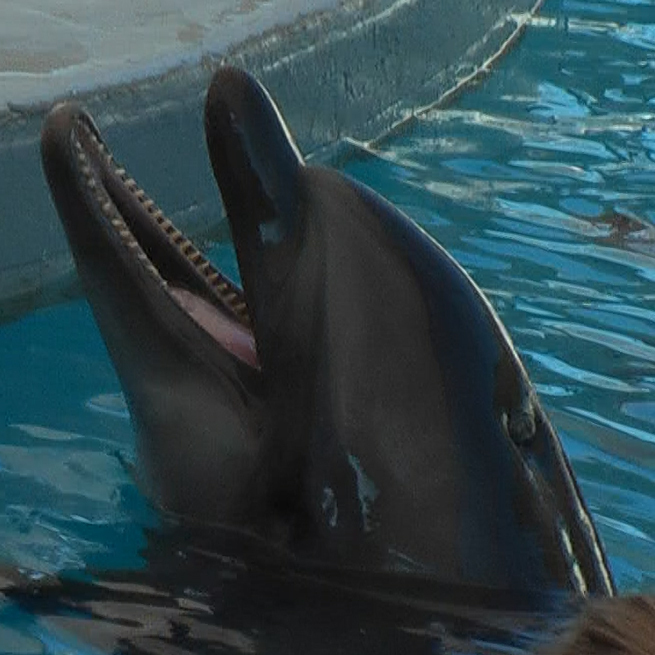 And yes, they are amazing and no, they are not depressed or tortured in this dolphinarium. They are healers of severely disabled people in the mornings and showmen in the afternoons and love it all. Many people swam with a dolphin during their holiday; I got to watch the trainings, the therapies and their normal interactions with the staff. By all means, it was an extraordinary and very positive experience. But the real transformation for me took place around a kitchen table, talking to two guys who have an unprecedented scope of experience in changing people’s lives – and think nothing of it. Of course, they make mute children speak, of course, they make wheelchair-bound people walk. Their most “normal” stories sound like a trip to the Lourdes. I came in equipped with a certain resistance to miracle stories – after all, I’ve been listening to them for nearly two decades from therapists who work with other animals. But the kinds of results that a dog-assisted therapist might achieve in a school year happen with dolphins over the course of days. All the rules I’ve been collecting, refining and teaching that pertain to virtually all other animals were dismantled here. I’m starting from zero. I have to accept a new plane of functioning – both professionally and personally. The timing turned out to be perfect. Seven years ago, or even seven weeks ago, I wouldn’t have been able to ask the right questions. With the Value Anatomy project under my belt and a nearly completed training of a ceremonialist, I could suddenly see the individual components of how dolphin-assisted therapy works. I can’t answer it from the scientific point of view (and I hope that someone will), but I can look at it from the spiritual and personal-development point of view. And in that field, it all clicks. It’s not so much about therapy, about healing, as it is about transformation. No wonder it was one hell of a trip worth writing about. P.S.2 I’m far from pre-orders, but if you are interested, please do let me know, I’ll happily put you on the list and perhaps it might help me get a publisher.